I'm baaaaack. And I'm baaaaaacked up, work-wise, that is. were cavorting in the water and Roger, second youngest and perhaps the most scarred, physically and mentally, from our tortuous childhood, paddled out to join us in a rubber raft. We were going to dump him out until he protested, citing his hydrophobia, and we actually desisted (!) Instead, we 'pushed him out to sea' (in reality, a crystal clear Canadian lake) chanting, "VIKING FUNERAL,VIKING FUNERAL!" The whole thing was shot by his girlfriend, and my Dad can be heard commenting, "I've never seen the five of them play together before." Sadly, on my birthday, we couldn't see the meteor showers as the sky was overcast. highschool pal, Jordan Van Sewell, who is an amazing artiste. It's hard to find pictures of his work I can pirate and paste on my site, but the book shown at the top of this post, The Jester's Realm contains a ton of gorgeous images. We picked up our conversation where we'd left off nine years ago, as old friend are apt to do. Many laughs ensued. When the time came, he drove me to the airport in a typical Winnipeg torrential downpour. I'm heavily into the Millenium trilogy by Stieg Larsson. I'd read The Girl with the Dragon Tattoo before my trip, and kept book number two, The Girl Who Played with Fire, for the trip. I cracked it open on the flight out, read five hundred or so pages during the week, and on the flight home I read until the plane taxied to a stop in Toronto. I'm now reading the third and final book of the trilogy, The Girl Who Kicked the Hornet's nest. If you haven't started reading the trilogy yet, you're in for a real treat. 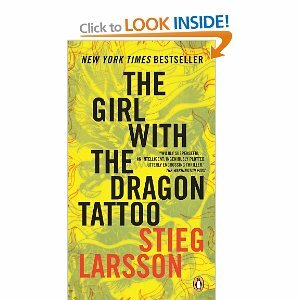 Start at the beginning, please, with The Girl With the Dragon Tattoo. Since I've been back I've tried to get to work only to have belated birthday celebrations getting 'in the way' day after day. But I think we're done now! So, back to work tutoring and creating a new program for the writing school, and finishing an Amazon review of editor Sacchi Green's latest antho, the very purty, very dirty Lesbian Lust. Oh, and any day now Michael Crawley and Laurie Clayton's exciting crime novel, The Women's Club will be flying off the printing press and into the hands of happy readers everywhere! If you can't wait (and I don't blame you) you can pre-order now!